Heartbreaking images of Reeva Steenkamp’s gunshot wound after she was shot dead by Oscar Pistorius have been released, because her father wants the world to see them. 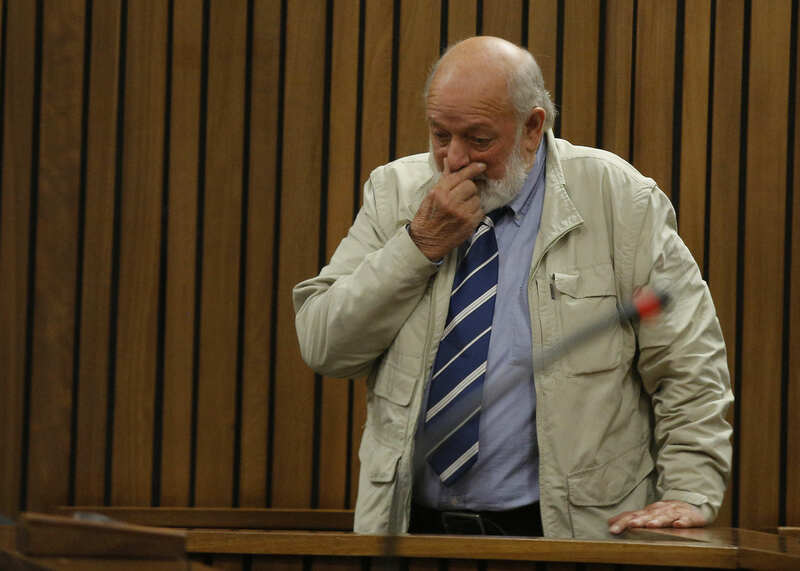 Judge Thokozile Masipa granted the request for a number of graphic photographs to be released, after Barry Steenkamp appealed for them to be made public, the Mirror reports. Mr Steenkamp said he wanted the world to see the horrendous injuries Reeva suffered at the hands of Pistorius, in the hope of preventing similar murders in the future. ProsecutorGerrie Nel backed Mr Steenkamp’s wishes, arguing that the photos form part of the pubic record and were only banned to protect the family, who are now in favour of them being made available. 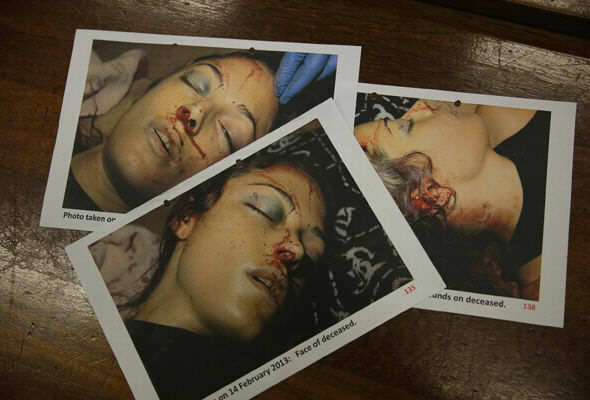 The horrific photographs show Reeva Steenkamp’s bloodied head and torso after she was shot four times with black talon bullets – a deadly ammunition designed to expand upon impact which is used by the military. Crying on the stand in Pretoria High Court, Mr Steenkamp said Pistorius must pay for his crime and asked the court to show pictures of his daughter’s body as a deterrent to would-be killers. I want the world to see. I want the world to see the photos of the wounds inflicted on her. To know my daughter’s pain. To know what her last few seconds were like, so that this is stopped – so that others do not have to go through this ever. The former model and TV presenter was shot through a toilet cubicle door by the disgraced athlete at his home in Pretoria, South Africa, in the early hours of Valentine’s Day 2013. Pistorius claimed that he thought she was an intruder and the shooting was a tragic mistake. However, Pistorius was subsequently convicted of manslaughter. The conviction was then upgraded to murder by South Africa’s Supreme Court last year, with judges saying that Pistorius has no more options to appeal. The former sprinter now faces up to 15 years in prison for killing Steenkamp. The release of the graphic photos comes after Pistorius removed his prosthetic limbs in court earlier today and walked around on stumps in a bid to show the level of his disability, in a plea for mercy.